Could anyone technically explain why Dell did not certifiy that Dimension 9100 system can support Windows 10 OS ? Dell did not certify Many Thousands of Models for windows 7 or 8 or 10. Dell will not support Windows 10 on many models. The Dell Dimension 9100 is a 2004 Windows XP Media Center Edition machine. This means its over 12 years old now. In general with the right bios and parts it works fine with ALL versions of windows including 10. HOWEVER ram is limited to 3.25 Gigs max regardless of how much ram is installed or 64 bit os. Honestly an Optiplex GX620 or better with windows 10 already installed is a better upgrade path. Windows 10 alone is $109 for home and $199 for Pro. You need a processor upgrade and in some cases a heatsink upgrade. Dell will not update bios for 10, 15, 20 year old systems. Dell is not the only vendor with this policy. 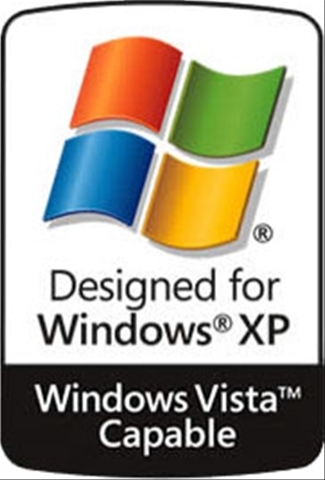 Windows Vista, 7, 8, 10 are not supported on many models. However that doesn't mean they don't work. It means they won't be supported by Dell for OEM software. If you buy a Retail copy of windows you can get support from microsoft. Windows Vista,7,8,10 WDDM 1.0 thru 1.3 drivers work. 64 Bit versions of windows require WHQL certificates or Self Signed Certificates for some drivers. on newer Skylake and beyond. Optiplex GX620 from 2006 works fine with MSDOS, WIN31, WIN98, WIN2000, XP, VISTA, 7, 8, 10. If you have a PENTIUM D 800 series cpu you can run 32 bit XP, VISTA, 7, 8, 10. Unless you have PENTIUM D 900 series you CANNOT RUN 64 bit windows 8.1 or 10. Not supported in no way means not working. Optiplex, Vostro, Dimension, Inspiron, etc with windows 10 home or Pro. So a pentium D 915 to 945 is your Max upgrade path. You CANNOT USE Core 2 Duo and up. 1. Improve keyboard parser buffer operation. 2. Allow USB Controller to be disabled. 3. Improve support for bootable optical drives. 4. Add new Service Tag editing feature. 5. Add support for VIIV logos. 6. Add PCI and Sigmatel support for for Vista. 7. Update the Copyright to 2006. 8. Add support for newer processors. 11.Correct size reporting in setup. 14.Improve stability when no boot device is present. Dimension 9100 Video Card upgrade for Windows 10... any recommendations?